Women are at risk of exploitation in Dungavel House immigration removal centre and more than 200 detainees were on watch for self harm in 2017, according to a new report. The Home Office has also been told that a secure unit at the detention centre was “wholly unsuitable” for people with mental health conditions and that health facilities were “not clean”. The report by Stephen Shaw, a former prison ombudsman for England and Wales, on the privately run facility in South Lanarkshire has also raised concerns over the time staff took to section people with serious mental health issues. Dungavel House is run by The Geo Group UK Limited, a subsidiary of US company Geo Group, which runs immigration detention centres in the US. Dungavel House can hold a maximum of 249 people. Shaw’s report – a follow-up to his review in January 2016 on the UK’s immigration removal centres – highlights a number of issues after an inspection he conducted in November 2017. Regarding female detainees, he said: “While men and women’s accommodation were separate, women were allowed to mix with men in communal areas if they chose to do so. Women were able to access all services outside the times that men used them, but it was unclear how this worked in practice. The report also reveals that 206 detainees were at risk of self harm last year and that 10 people were returned to the detention centre after being sectioned. There were 42 complaints received at Dungavel in 2017. 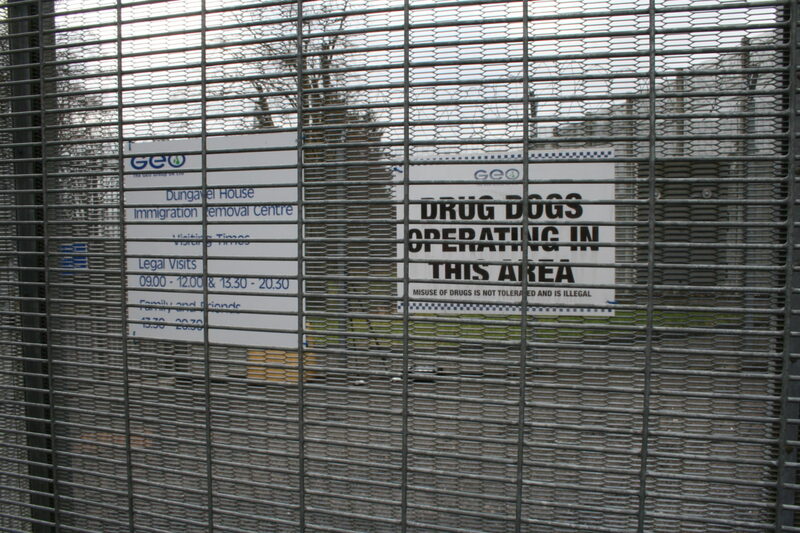 In reply The Geo Group UK Limited said: “Stephen Shaw acknowledged that Dungavel IRC has a good reputation and he said it was where he heard the most consistently positive comments from detainees about staff. A Home Office spokesperson said: “The Home Secretary made clear this week his goal to ensure our immigration system, including our approach to immigration detention, is fair and humane. “Detention is an important part of the immigration system – but it must be fair, dignified and protect the most vulnerable. The Shaw Review confirms that we are on the right track with our reforms but it is also made clear we can go further. Photo thanks to Azerifactory, CC BY-SA 4.0 , from Wikimedia Commons. A version of this story was published by The Sunday Times on 29 July 2018.